Enjoying a sweaty pair of jeans!! 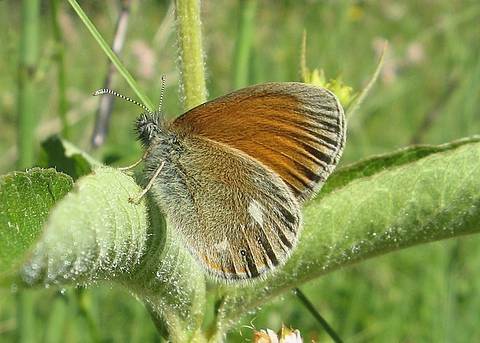 The Chestnut Heath is one from the interesting Coenonympha group, small butterflies characterised by the underside of the hindwing which is decorated by white/cream splashes and ocelli of varying sizes. 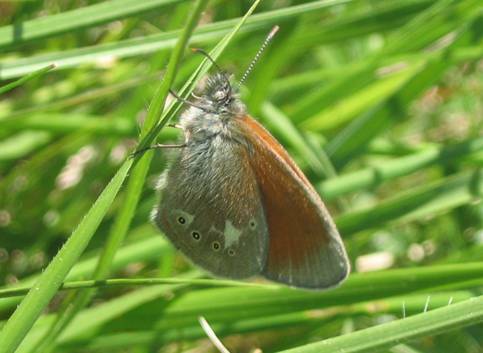 This one is quite lightly marked so you have to be a little attentive in order not to dismiss it as a Small Heath although in flight it is distinctive from the dark upper hindwings. 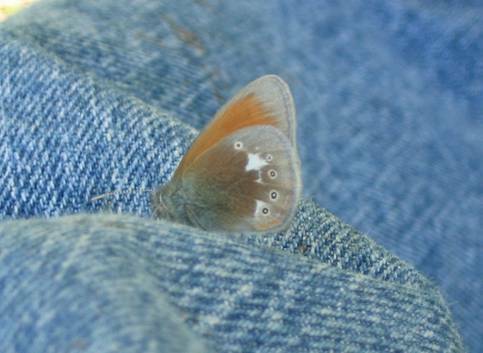 The forewing is a darkish, rusty orange with a wide grey/brown apex devoid of an ocellus which is conspicuous by its absence. The hindwing is a uniform grey-brown characterised by two distinct white splashes in spaces 1 & 4 and a row of small and mostly well formed (though sometimes almost absent ocelli.) 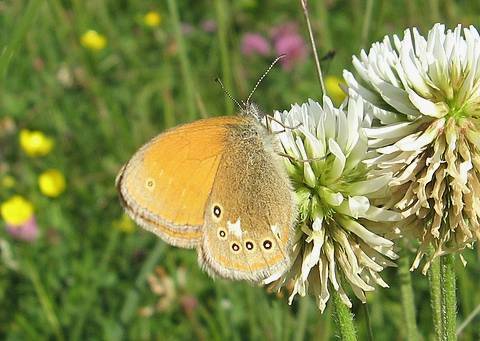 You need to get quite close to the butterfly to pick out the tiny ocelli properly. In France the species is found on the eastern side of the country with those adults from the Pyrenees belonging to the subspecies iphioides. That one has much larger ocelli on the hindwing and an ocellus in the forewing apex too. 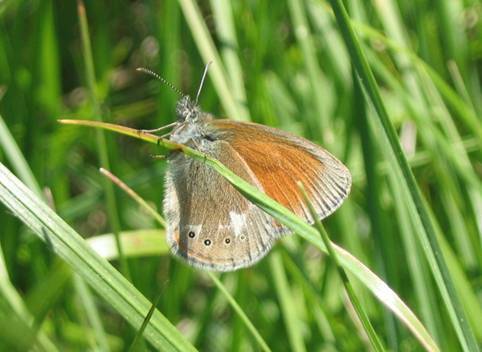 It's a very distinctive subspecies and is now often classed as a species in its own right and called the Spanish Heath but as one of the photos above from the Doubs clearly shows, this colouration is also found in colonies of the nominate subspecies.